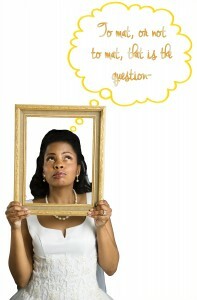 No, budgets are certainly not fun, but they are certainly necessary for many brides-to-be out there. 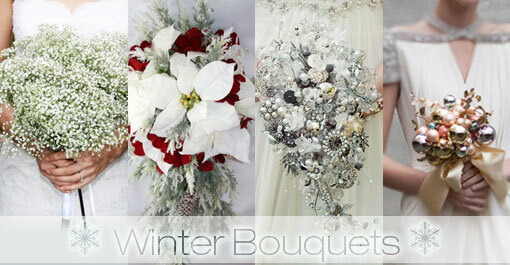 You can still have a beautiful winter bridal bouquet for your winter wedding without going bankrupt! Read on to learn about some unique and affordable winter bouquet ideas that will inspire and excite you. Baby’s breath is incredibly affordable and actually looks chic and romantic when carried in a lush bundle and adorned with a silky golden or lace ribbon. Its delicateness mimics the look of freshly fallen snowflakes and it also complements a vintage themed wedding. If too much red and green makes you nauseous around the holidays, consider carrying a large, white poinsettia. Its creamy tone will complement your gown and will photograph beautifully as your event’s candle light makes it radiate. You can even purchase these potted plants at your local grocery store and set them out in tables for a unifying theme. Brooches can be purchased by the lot on many online auction sites and can be found for a dollar of less at many antique stores, flea markets, and estate auctions. You can arrange them into a bouquet on your own by following step by step directions online, or hire a florist for help. You can create a bouquet of all brooches or mix a few large white or red roses throughout. Either way, a brooch bouquet can be composed for about $25 or $30 on average, which is a huge difference from $125, which is the average cost of a bridal bouquet. Did you plan a winter wedding around the holidays because everything about Christmas makes your heart skip a beat? If so, carry an ornament bouquet. Completely unique, arrange shiny and glittery ornaments, much like a brooch bouquet. 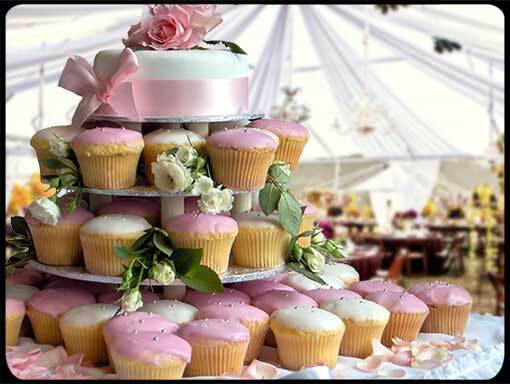 You can mix a few flowers in, or carry all ornaments on your special day. Many dollar stores sell a dozen ornaments for a dollar, and even some fancier ornaments cost about $5-$10, which is still more affordable than spending a hundred dollars or so on a full, floral bouquet. Another added bonus? You’ll be able to keep your one of a kind creation forever! You can have an awesome winter bridal bouquet for less; you just have to think outside of the box! 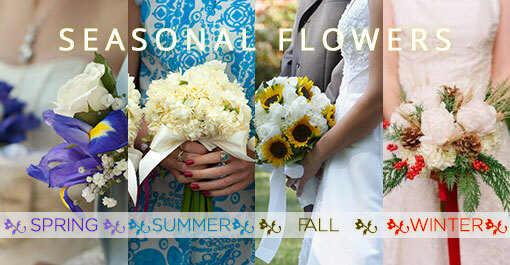 Four Seasonal Flowers That Will Save You Wedding Money! Most brides-to-be go gaga over flowers. While some can spend thousands, others may only be able to budget a few hundred dollars. If you are pinching pennies; read on to learn about some fresh and fabulous flowers that are in season and ultra-affordable for your upcoming wedding. 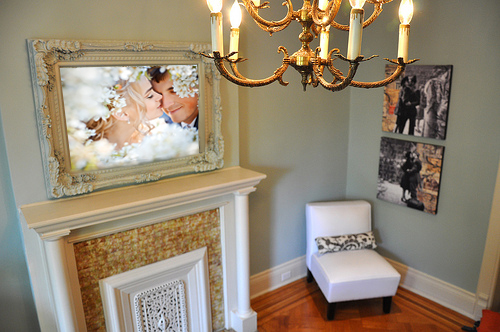 A wedding during spring months is symbolic of your union. It is a season of rebirth and all things new, like your commitment to one another. Some cost-efficient ways to fill your vases and bouquets are to incorporate flowers such as lilacs, hydrangeas, daffodils, and tulips. These fragrant blooms can even be plucked from your own garden! Sweet peas, wisteria, and magnolia are also in bloom; as well as peonies, lily of the valley, freesia, and poppies; depending on which part of the country you live in. A summer wedding is most popular among couples because the weather is warm, the sun is cheerful, and amidst the humid haze; there is a special kind of magic in the air! Consider these light and airy flowers, such as irises, gerbera daisies, zinnias, Queen Anne’s lace, and forget-me-nots; that will be light on your budget as well! Fall weddings usually include seasonal décor such as pinecones, pumpkins, apples, and acorns; so it is essential that your flowers can not only stand up to such heartiness, but not break the bank either. Consider including mums, sunflowers, dahlias, marigolds, and even dried leaves and other foliage into your bouquets and baskets; which also complement the vibrant colors of the season. Weddings held during winter months face a challenge when it comes to affordable and fabulous flowers. Consider holiday staples, like poinsettias and holly, first and foremost. If your celebration is held during later winter months, consider carnations (around Valentine’s Day), cosmos, and amaryllis; which will also work for weddings right on the border of spring! You can have fresh, fragrant flowers on your big day without putting a major dent in your budget. Consider these seasonal stunners to ensure you have appropriate and affordable decorations! 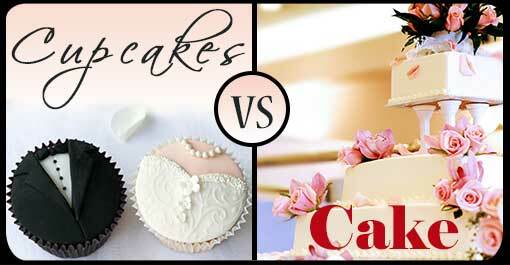 Everyone knows that a marriage itself is a gift; however, many couples still choose to exchange a present after exchanging vows. Read on to learn how you can choose a special wedding gift for your new spouse that they will cherish nearly as much as you! First, consider signing up for a boudoir session with your local photographer. This has certainly become one hot trend with newly married couples! The pictures are provocative, romantic, but remain completely classy. Not only are they fun to shoot, but they will be fun to pull out and view for years to come. Plus, these pictures make a statement. They silently declare that you are full of passion and want your partner to remain full of passion as well! If a professional shoot is out of your budget, all you need are some tasteful undergarments and a faithful and fabulous friend to play photographer! 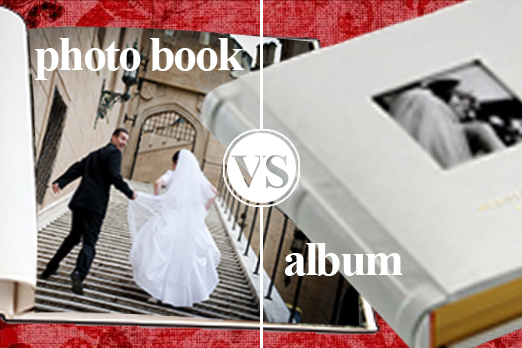 With Valentine’s Day right around the corner, why not extend the preview the surprise with a teaser custom photo card and then present him with a beautifully designed flush mounted album with the collection of photos. Or, consider other photo gifts. 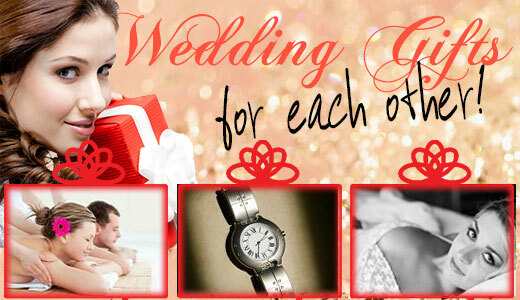 Next, many couples are huge fans of exchanging matching time pieces. These watches are worn every day and they are also symbolic of the commitment you both entered into for all “time.” Whether you want to pick up a designer pair or opt for something simple and standard; it is a gift that you will get years of use out of and will help make the hours pass by as you glance at it when you are away from one another. Finally, consider what your spouse is into. No one knows you both best like one another. Sporting event or concert tickets are gifts that you can both utilize. 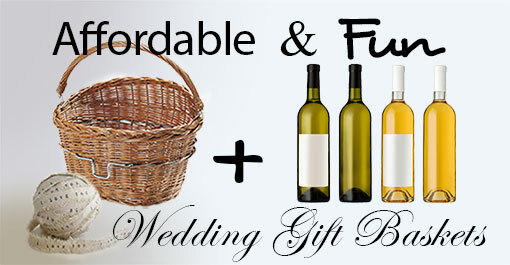 You can also plan a weekend getaway or sign up for a couple’s massage to unwind after the big day. Many newly married couples are discouraging one another from purchasing separate gifts and are totally into gifting each other a shared experience. Consider these three simple and totally doable ideas if you want to impress your mate with a meaningful, post-wedding “I do” gift. Have a digital media question? Ask Mimosa Digital! Plus, it’s FREE (at least for now, so seize the opportunity). Click here to get a response via email.